Posted on Jul 9, 2015 by Appleton Downtown Inc. Recently more attention is being given to the positive effect of art for your mind. Really! It gives the left side of your brain a chance to relax while it stimulates the right side of the brain and helps to ward off cognitive impairment according to a recent study by the Mayo Clinic http://www.chicagotribune.com/lifestyles/health/sc-hlth-0520-keeping-your-wits-20150514-story.html. 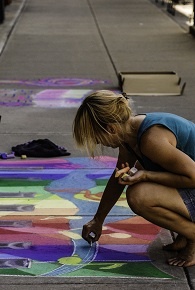 Many adults realize how much they enjoyed activities like chalking, coloring and painting after they have children (or possibly when their friends and family members do and they get to play with those children). But then when the children outgrow those activities, too often the adults put those pastimes away again. Now however, we are seeing a resurgence in artistic activities. As evidence, search adult coloring books online and you’ll be amazed at the wealth of resources available. 2. Community Mosaic Project: Help assemble a seven-foot American flag mosaic with over 20,000 mosaic pieces at the Downtown Appleton Farm Markets on July 18 and 25 outside the Trout Museum of Art. Or help complete the project at Art at the Park on July 26. 3. 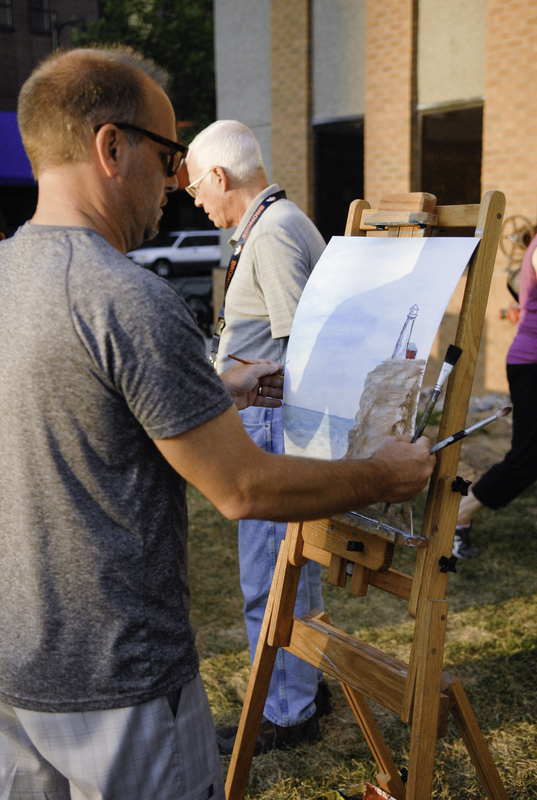 Paint On The Town: On August 21, join fellow community members to paint a Summer in the City mural outside the Trout Museum of Art during Art On The Town 6-9pm. Or create your own masterpiece.